When a driver is stopped on suspicion of DWI in New Jersey, there are certain expectations and beliefs that he or she might harbor regarding their rights and how the process works. That could stem for a misplaced series of expectations due to stories told by others, misapplied information or from watching too much television. While it might not seem to be a big problem to not know the laws when it comes to a DWI stop in New Jersey and the myths surrounding how drivers are expected to act under the law, it could lead to larger issues in the long run if there is a violation of the law based on ignorance. Here are a series of myths that are common when it comes to a breathalyzer test in New Jersey. A driver who has a blood alcohol content (BAC) of 0.08% or higher will be charged with DWI. 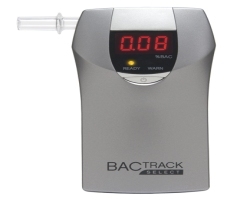 A common method to determine the BAC is by using a breathalyzer test. In spite of the widespread belief that a breathalyzer is completely accurate, that is not the case. For a breathalyzer to yield an accurate result, there are certain procedures that must be followed by the law enforcement officer as he or she administers the test. When the traffic stop is made, the officer will check the driver’s license, registration and insurance while looking for clear signs of intoxication such as slurred speech and bloodshot eyes. Perhaps field sobriety tests will be given and then a breathalyzer test. For the breathalyzer test to be deemed accurate, the officer is required to observe the driver for a period of 20 minutes. This is to make certain that the driver doesn’t chew gum, smoke a cigarette, use chewing tobacco, regurgitate or do anything else that might compromise the accuracy of the test. There are times when the officer fails to follow this procedure and even a failed breathalyzer test will be inadmissible. The officer is required to be certified to give the breathalyzer test and the machine must be properly calibrated. If these are not adhered to, this too can lead to the evidence being deemed inadmissible and the charges dropped. While the BAC for a driver being found under the influence is 0.08%, there are circumstances in which a driver will still face charges with a BAC of lower than 0.08%. The obvious instances are when the driver is under the age of 21 or when driving a commercial vehicle this DUI myth is busted. Drivers under the age of 21 are not allowed to be drinking alcohol at all in New Jersey. Because of that, a BAC of 0.01% will result in DWI charges. Commercial drivers are driving for a living and are expected to adhere to a more stringent set of rules than a conventional driver. A BAC of 0.04% for a commercial driver will lead to a DWI arrest. For drivers who are 21 and over and aren’t driving a commercial vehicle, it is still possible to be arrested for DWI even if the BAC is under 0.08%. Although a driver might not have a BAC of 0.08%, if there is alcohol in the system, the prosecution might be able to prove – with evidence from the police officer – that that the driving ability was negatively influenced. For example, if the officer sees the driver making dangerous maneuvers and swerving, an arrest is still possible without surpassing the legal limit for alcohol in the system. This is a frequent error that defense attorneys see drivers will make. They do so under the mistaken assumption that they have the right to refuse to take the breathalyzer test in the belief that it’s status as a potential incriminating piece of evidence. In fact, drivers in New Jersey cannot refuse to take a breathalyzer test. When a New Jersey state driver’s license is issued, there is implied consent that when a driver is asked to take a breathalyzer test, they must submit to it without protest. Refusing a breathalyzer test is a separate infraction to the DWI. What this means is that even if the driver was not legally drunk and wasn’t committing any acts that indicated diminished ability to drive, there will still be charges for the refusal. These charges are similar, and in some instances worse, than being charged with a DWI. Of course, it is never advisable to drive after drinking. If it happens and you are arrested for the traffic infraction of DWI in New Jersey, it is important to know the rules of a breathalyzer test. While there are penalties that can be range from losing one’s driver’s license to jail time for a DWI conviction, drivers must also bear in mind that law enforcement has certain rules they need to follow when making a traffic stop and investigation a DWI. That includes administering a breathalyzer test. If these rules are violated, the charges could be dismissed or there could be an acquittal. 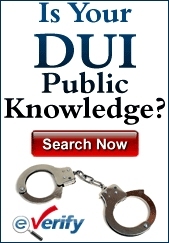 A traffic stop for suspicion of driving whiole intoxicated can generate a large amount of evidence that the prosecutor can use against you. Learn about the many different types of DWI evidence that are allowed in NJ courts and how you can possibly counter them. Your lawyer is best suited to customize a defense plan for any and all evidence that the police collected against you. To give your lawyer the best weapons to defend you in court you will want to learn about your right to independent testing for DUI cases.